Since we started in 1997 we have trained more than 7,000 delegates in 29 countries, across the UK and internationally, to be more logical, persuasive and memorable – so they can sell themselves, their ideas and proposals to influential audiences. Delegates tell us how much they benefit from two trainers in every workshop who have in-depth industry knowledge. Speakers’ Corner has a reputation for delivering highly effective and enjoyable workshops. Our programmes are tailored for the branded communication industries. They can be adapted to meet the specific needs of our clients and each specific group of delegates attending. The workshops are based on short bursts of learning followed by practical exercises designed to put the theory into practice and help build personal confidence . Our delegates leave us feeling empowered and ready to illustrate to their colleagues, bosses and clients their improved communication skills. Digital communication now dominates all our lives. But some things never change. The ability to connect and engage with someone face-to-face is paramount. We are happy to adapt one of the workshops or combine sections from a number to develop your own tailored workshop. Helping People to deliver their Best Stories. 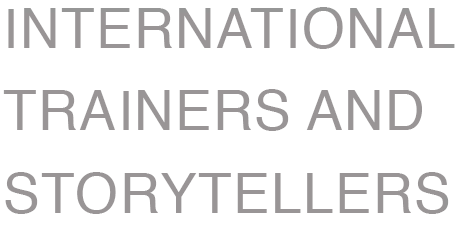 We believe that storytelling aids understanding and releases imaginations for both the speaker and the listener. Great storytellers are able to simplify the complicated and find a metaphor to explain. Great storytellers care – about their message, their delivery and most importantly their audience. Our delegates learn how to sell themselves and their ideas. We show how to communicate creatively to inspire and affect change. We show how to include stories to better engage, inspire and persuade. We help develop greater personal and corporate credibility. 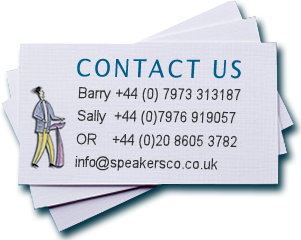 We help the most experienced presenter to communicate better. We provide a step plan for storytelling and selling ideas. And give a presentation structure template to follow every time. We demonstrate best practice in PowerPoint. We tailor every workshop to the specific group of delegates. We have 2 trainers per workshop, so more feedback and outcomes. Our workshops are highly interactive, inspiring and fun. We use video to help delegates self-appraise. We provide support notes for all workshops and offer on-going support.